Oak power display great for night lights or other powered accessories. Piece detaches from base to for easy wall mount. 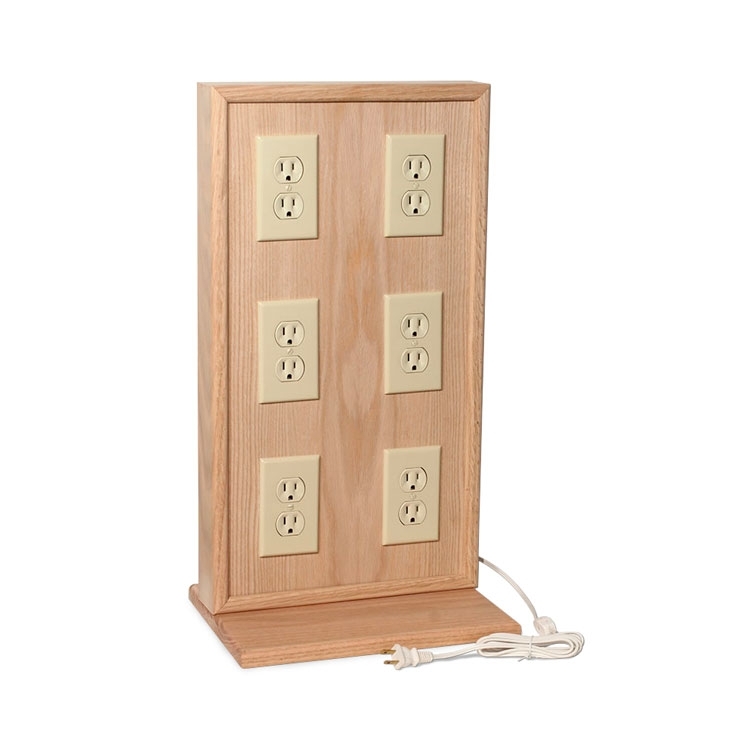 9 Outlet Power Tower with 6' power cord. 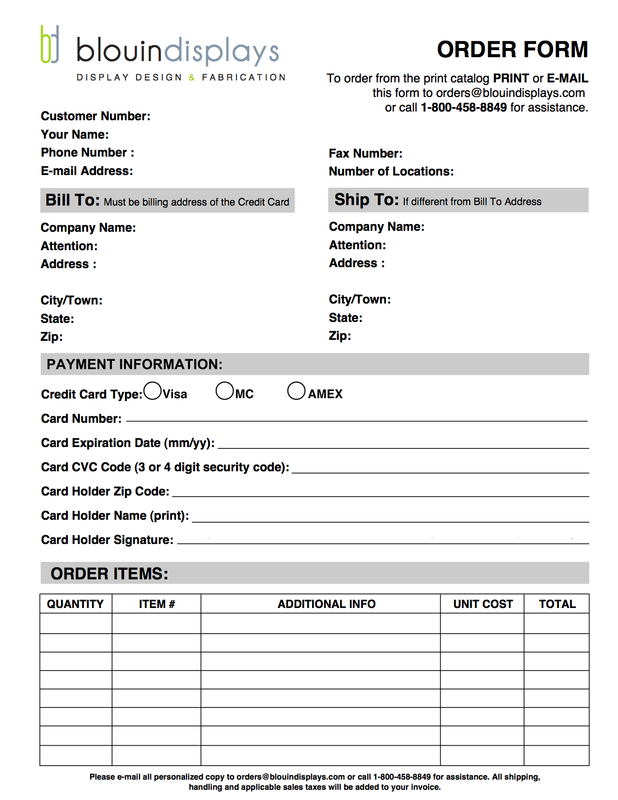 Great for displaying illuminated products such as night lights and air fresheners. 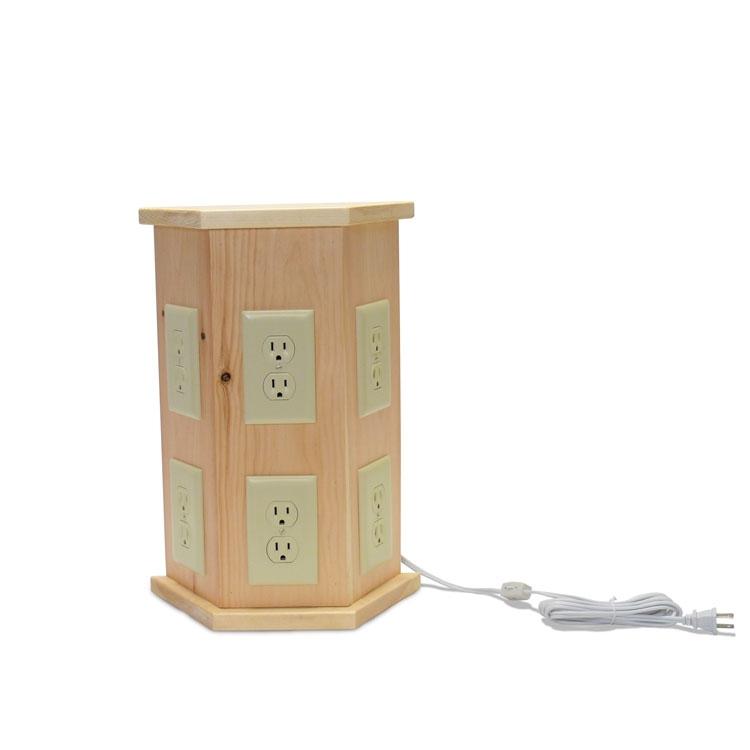 6 outlet 3 sided power tower. 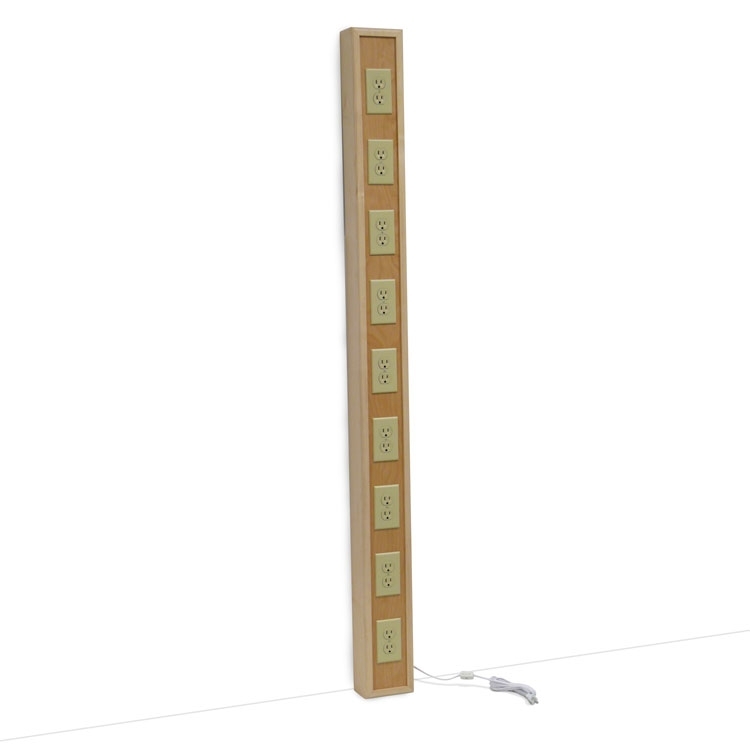 Great for displaying night lights or when you need more power and don't want to use an ugly power strip. 17.5" x 12" x 5"
Power Panel Display allows you to showcase your plug-in products like a professional. Great for night lights or any product you need electricity to display. 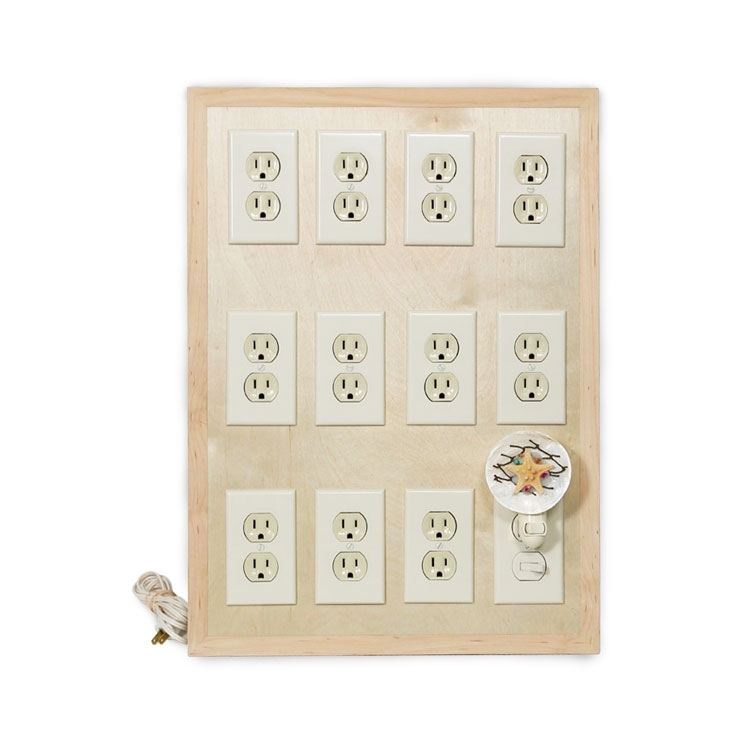 This power panel has 12 outlets with an easy on and off switch controlling every outlet. 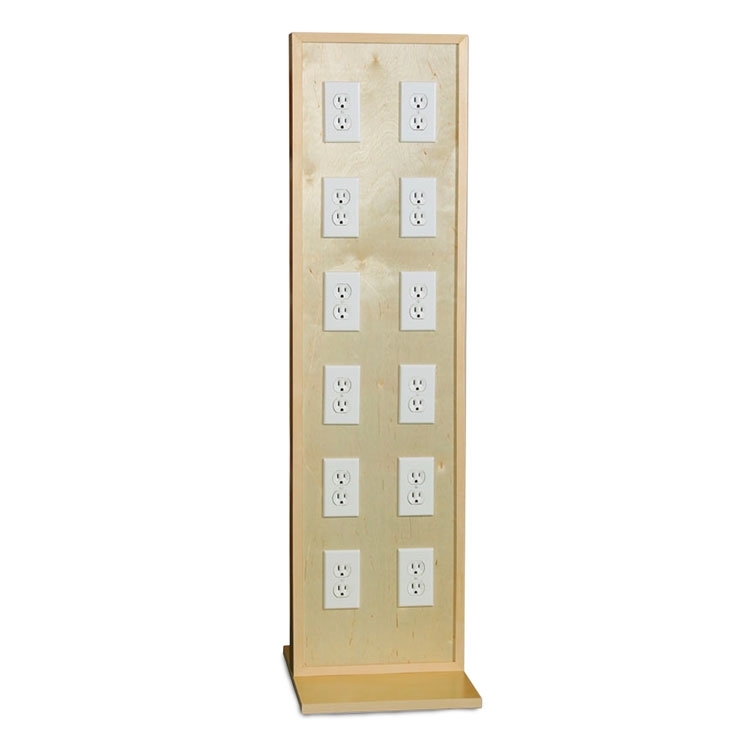 12 outlet Power Tower Display. Great for showing off your products that require electricity such as night lights. Panel is powered by 6ft power cord. 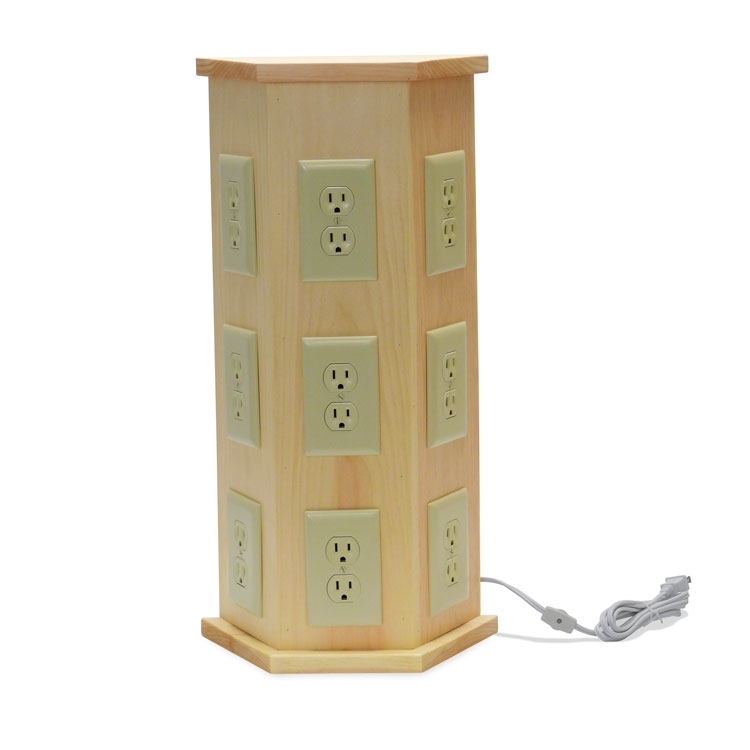 6 outlet 3 sided power tower. Great for displaying night lights or when you need more power and don't want to use an ugly power strip. 6" x 12" x 22"